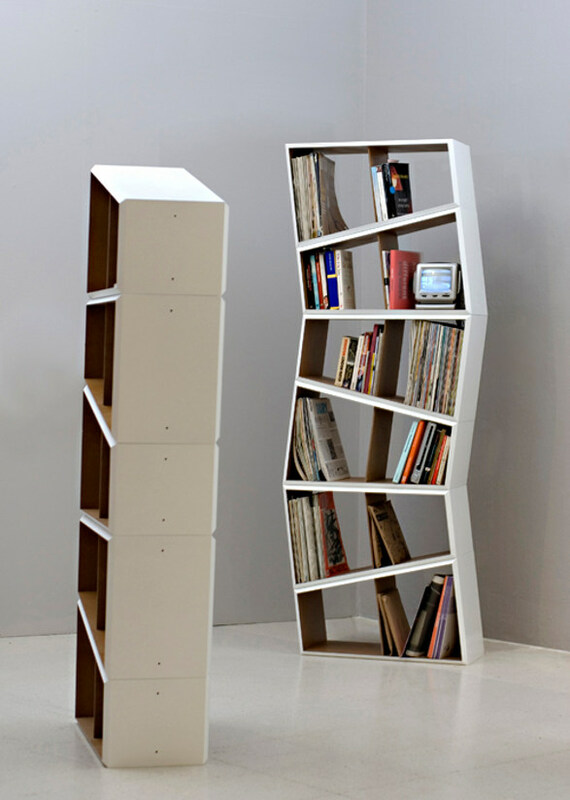 Kwarto System designed by Iwona Kosicka is a harmonious combination of shelves and cupboards. 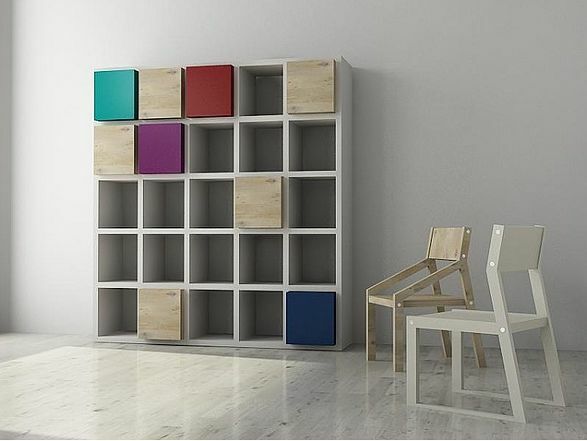 The shelves construction consists of 40x40 cm modules which can be freely combined to fit the furniture to the interior size. 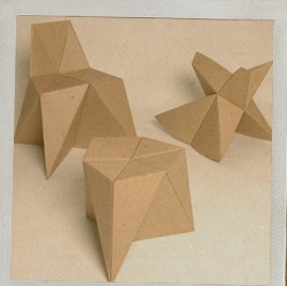 Another parts of the jigsaw are wooden cubes, which you can order in different colours. Now it's chair turn. But not an usual one. Flux Chair by Douwe Jacobs i Tom Schouten is a folding chair which not only saves floor space and makes moving a breeze, but also it allows you to sit down wherever you like. It is light and flat when folded and thus drastically reducing CO2 emissions when transported efficiently in bulk. What's more, it is strong and elegant. The name Flux refers to change and the words flexible and luxury. Meet fully-fledged flexible design: the Flux Chair. When you already have a place to seat and to keep your books on you may need a side table to feel relax and fully comfortable. 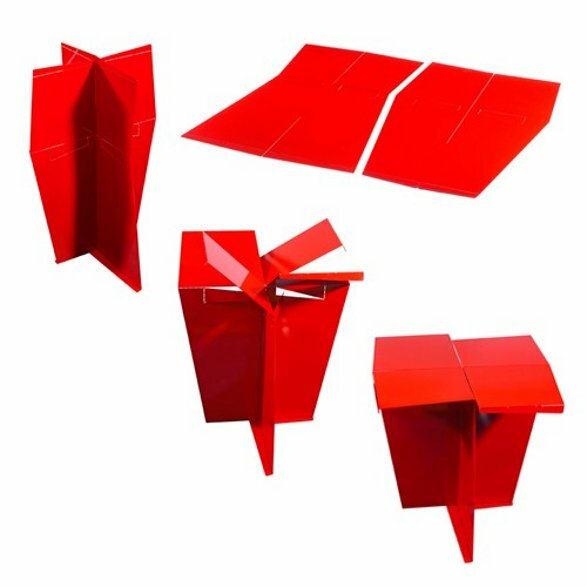 What about Origami Side Table by Jaime Salm and Young Jin Chung for MIO, which invites users to participate in the products final stages of creation? It is composed of two laser-cut, slotted sheets of steel, it ships flat and requires no tools or hardware to assemble. One sheet is the negative of the other, eliminating waste during production and giving the table its dynamic form. Once bent, the table’s folds lock the parts into place. The table’s petal-like surfaces are sturdy and spacious making it a practical and sculptural side table, nightstand or plant stand. It's made in the United States. If you have a regular book shelves (not as original as 6 degrees) you may like the idea of Igor Udushlivy to use Pixelated Icons book jackets: “If you have a lot of books of the same size, you can print out Dust-Jackets for them that feature a pixel pattern on their spine. You just have to arrange the books in the right way to create pixel icons“- asserted the project developer. There are templates available on the designer’s official website, which you can download, print and cut according to the size of your books. But how would you find the right book on the shelf without being able to read their spines? And now the real feast for all DIY lovers. 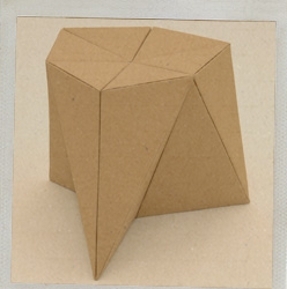 Foldschool sittings by Nicola Enrico Stäubli. 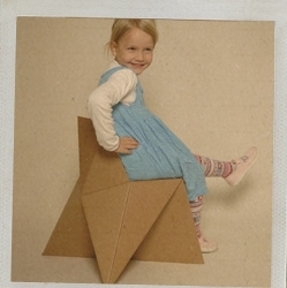 It is a collection of free cardboard furniture for kids which you can handmade at your home. The downloadable patterns available on the designer's site can be printed out with any printer. 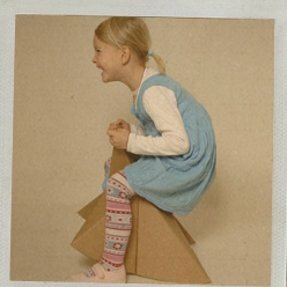 All you need to make your own green, interactive and stable child's seating is some cardboard and a pair of scissors. 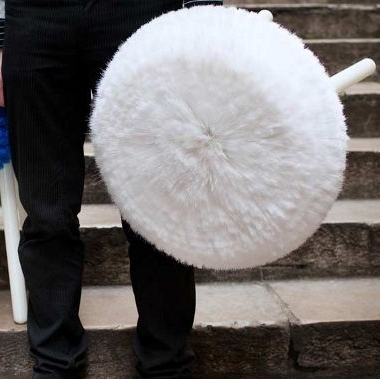 Just follow the instructions and assemble a stool, rocker or a chair for your little one. Have a nice time! Smart cardboard toys for boys and girls by Trzymyszy.pl Furniture and home accessories inspired by child's plays. For children.